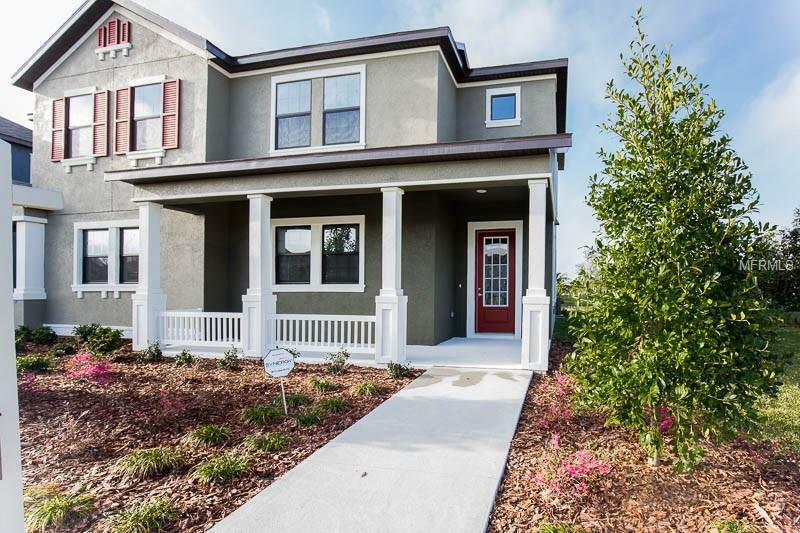 This immaculate 3 bedroom, 2.5 bath paired-home in FishHawk Ranch is simply a dream! Tasteful upgrades and finishes make this homes functional layout even more attractive!Upon entering the home, you are greeted by on-trend wood-look tile stretching throughout the first floor. Sleek stainless steel appliances, neutral-toned granite countertops and crisp white cabinets give the kitchen a modern feel.The kitchen overlooks the open-concept combination family room and dining room. Sliding glass doors at the rear of the family room lead to the covered lanai and allow plenty of natural light. A convenient half bath completes the first floor.The homes 3 bedrooms and remaining 2 bathrooms can be found up the spindled staircase. The master suite includes a large walk-in closet and en-suite master bath with glass-enclosed walk-in shower.All of the homes bedrooms are comfortably sized and boast carpet and sizable windows. All bathrooms have neutral-toned granite and white cabinetry.Complete lawn maintenance, including mowing, shrub pruning, irrigation system service, turf and plant fertilization & plant pest control are included in rent. Thats $140.00/mo. in included servicesCall today to schedule a showing! Pet Restrictions Application Fee Of $20.00 For 1 Pet $35.00 For 2 Pets $50.00 For 3 Pets in Addition To Refundable Pet Deposit Equal To One Half Month's Rent And Non-Refundable Pet Fee is $250.